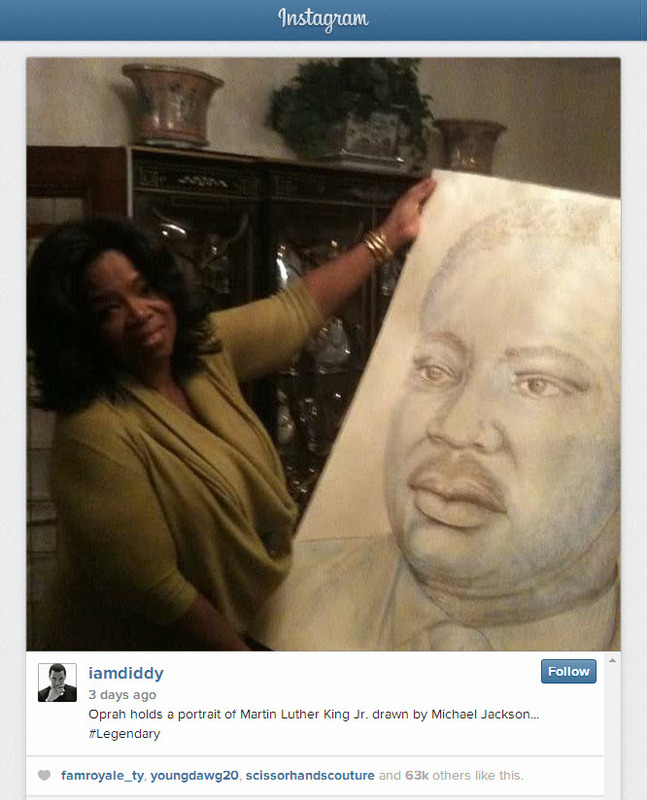 Oprah was recently pictured on Instagram holding what was a portrait of Martin Luther King, but the interesting side note is that the portrait was drawn by the King of Pop himself, Michael Jackson. Not too many people know that MJ actually drew a lot in his free time, and it really was a passion of his. The picture was posted by Diddy, and it really reflects a powerful piece of art. How often do you get something that is a drawing of one of the most influential black men of all time, and it happens to be drawn by the biggest black music icon of all-time. Yesterday, Diddy posted an image of Oprah holding a portrait of Martin Luther King, Jr. drawn by Michael Jackson with the caption #legendary. We can’t imagine a hashtag more appropriate. It’s unclear where this gathering of the greats took place, but it probably happened when Oprah visited Michael Jackson’s studio years ago. Michel Jackson’s art collection, mostly drawings and paintings he created, was hidden in a top-secret hangar until 2011 when LA Weekly toured the studio. 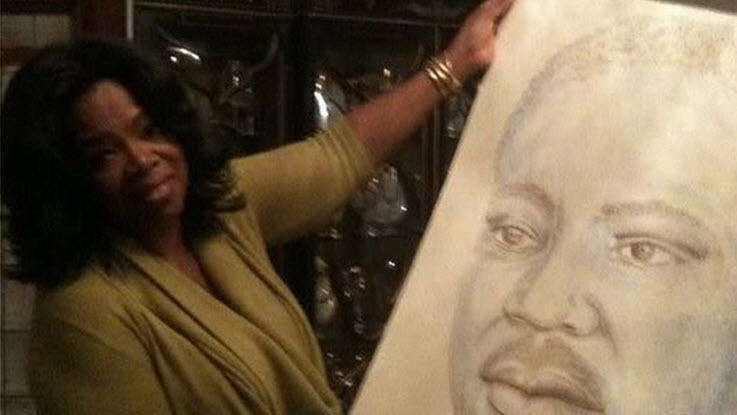 Photographs from the tour reveal the picture of Oprah holding Jackson’s drawing of MLK. According to LA Weekly, the collection consists of 150-160 pieces created by Jackson, including architectural drawings, a portrait of George Washington, a sketch of the Wright brothers’ plane, and a depiction of MJ’s pet monkey Bubbles.